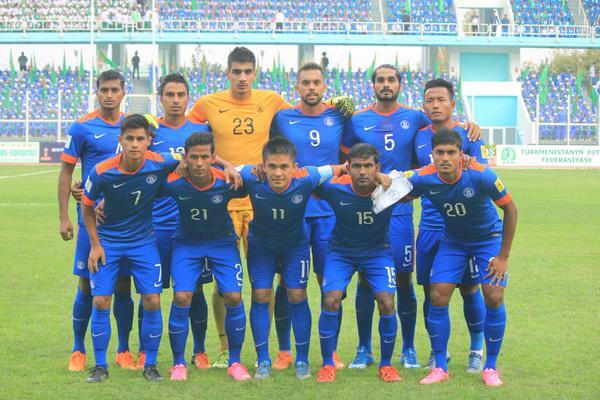 Indian Football Team's ascent in FIFA Rankings continues as they rose by two spots and occupy 135th position in Rankings released by FIFA on 22nd December. They have bagged 217 points in the process. This is India’s 6 year highest annual ranking after 2009 when India finished the year at 134. India's rise in FIFA Rankings continues despite not playing any friendly since September, when they defeated Puerto Rico, 4-1 in an International Friendly played at Mumbai Football Arena. This reason is due to the fact that FIFA Rankings are based on the team's performance during a Four Year Period, with more weightage given to matches played in past 12 months while matches played in previous three years are given less weightage. India lost its 2018 FIFA World Cup Qualifiers against Iran and Turkmenistan in September 2015, and since they are out of the 12 month period, they carry less significance in Ranking points. A better ranking is all more important because they will decide the pot in which India will be kept when Groups for 2019 AFC Asian Cup are decided.